Various fitness trackers and other biosensors are becoming more popular. However, many such devices have one drawback: they are inconvenient to wear. To correct this problem, the developers of the company Spire have introduced a new miniature biosensor that can measure the basic indicators of the user's body in real time. But the most important thing is that the new tracker can be attached to clothing, while it will not bring any discomfort to the owner. The device was named Spire Health Tag. According to the creators, this is the smallest personal microsensor in the world for measuring body indices, which can be attached to clothes and does not require recharging. It is worth noting that the gadget does not need to be removed from clothes at all - it has a very long service life on one battery charge and can withstand washing in a washing machine. Jonathan Pally, the founder of Spire, says that the new biosensor collects about 20 billion data per day. He continuously monitors the activity of the user, the frequency of his heartbeats, estimates the variability of heart rate and breathing. In addition to these data, Spire Health Tag is able to monitor the user's sleep and determine when he experiences stress. The first tracker of the company Spire Tracker sold around the world, collecting about $ 8 million. It was during the work on the first device that developers realized that people do not like to wear uncomfortable devices that constantly require recharging. 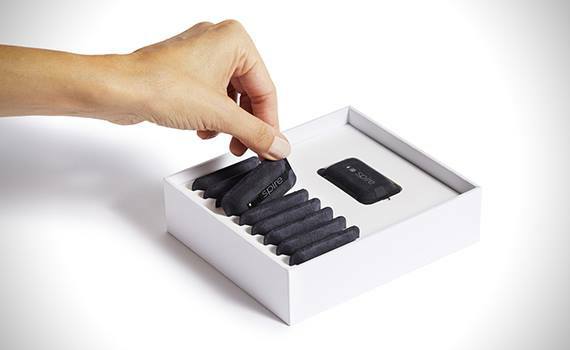 Now the company has already launched the implementation of the Health Tag sensor at a price of 99 dollars.